In a Florida divorce proceeding, the court will divide property and determine spousal support if the husband and wife cannot come to an agreement on their own. Florida is an equitable distribution state, so the court will divide marital property in a manner that is fair, but not necessarily equal. Spousal support may be granted to either spouse and is granted if the court finds that one spouse has an actual need for alimony and the other spouse has the ability to pay. Florida's statutes provide for equitable distribution of marital property in divorce proceedings. Marital property includes both assets and debts, also known as liabilities, acquired during the marriage. Marital assets include, for example, cars, houses, retirement benefits, cash, stocks, bank accounts and personal property that were acquired during marriage. Marital liabilities include, for example, mortgages, car loans and credit card accounts. If you and your spouse cannot agree on division of marital property, the court will make an equitable distribution on your behalf. In distributing marital property between spouses, the court begins with the premise that the distribution should be equal. The court will make an unequal distribution of marital property if there is justification based on any of numerous factors. These factors include the contribution to the marriage by each spouse, including contributions to the care and education of the children and services as homemaker; the economic circumstances of the parties; duration of the marriage; any interruption of personal careers or educational opportunities of either party; contribution of one spouse to the personal career or educational opportunity of the other spouse; and desirability of retaining the marital home as a residence for any children of the marriage. After equitable distribution of marital property, the court will consider alimony if you and your spouse have not reached an agreement about spousal support on your own. The court may grant alimony to either the husband or the wife. There are four different types of alimony in Florida: bridge-the-gap alimony, rehabilitative alimony, durational alimony and permanent alimony. Bridge-the-gap alimony is awarded to help you transition from being married to being single and is designed to assist you with short-term needs. Rehabilitative alimony is awarded to assist you in establishing your capacity for self-support through either the redevelopment of previous skills or credentials or the acquisition of education, training or work experience necessary to develop employment skills and credentials. Durational alimony is awarded when permanent periodic alimony is inappropriate and is intended to provide you with economic assistance for a set period of time. Permanent alimony is awarded to provide for the necessities of life as they were established during your marriage and is awarded to the spouse who lacks the financial ability to meet his or her needs after the divorce. The court considers many factors in determining the proper amount of alimony to be awarded once it is established that one spouse is in need of financial support and the other spouse has the ability to pay. These factors include the standard of living established during the marriage, duration of the marriage, age and physical and emotional condition of each spouse, financial resources of each spouse, earning capacities, educational levels, vocational skills and employability of the parties, contribution of each party to the marriage including services rendered in homemaking and child care, and the responsibilities each party will have with regard to any minor children they have in common. The court may consider the adultery of either spouse in determining the amount of alimony, if any, to be awarded. 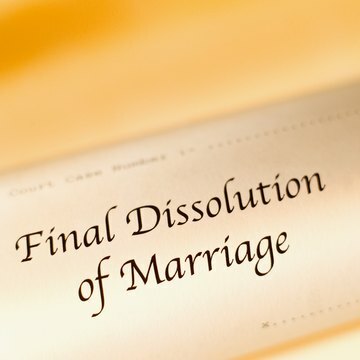 Texas laws consider the mental health of both spouses in a divorce case. A spouse's mental condition may be the grounds for the divorce itself. The ill spouse's mental health has an effect on various aspects of the case, including custody decisions and spousal support determinations.